I love when couples are in it to have fun, especially with engagement shoots which are a dope way to just be goofy without having to worry about the seriousness of a wedding day. Even though on your wedding day you're super loved up and affectionate which makes for incredible photos, engagement sessions are a chance to really display your sense of humour. 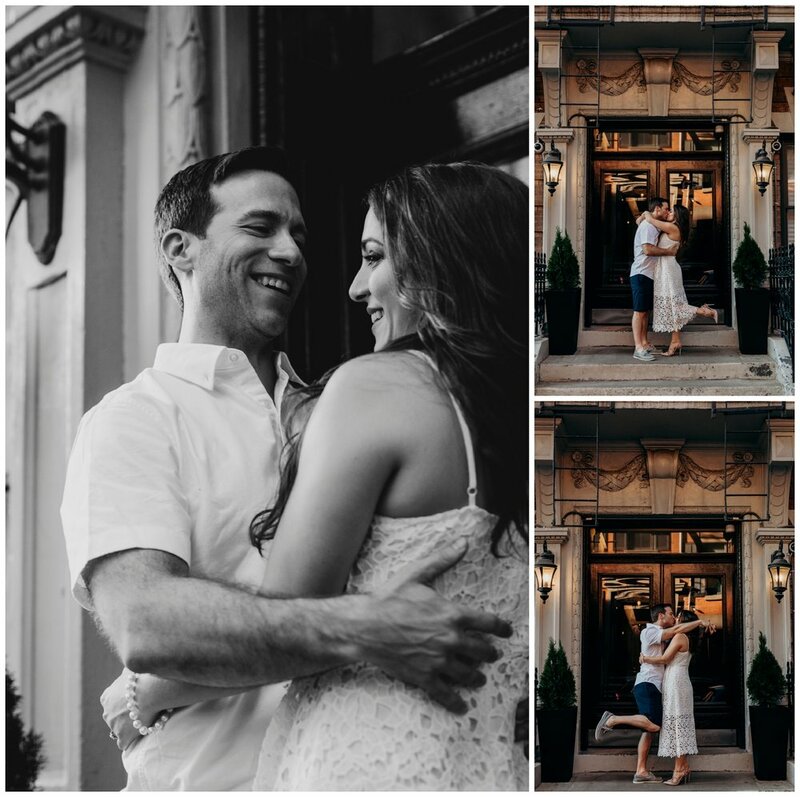 I met Levi and Frosso down in the West Village on a muggy New York summer afternoon and we had a glass of wine and took some photos. The best, way to spend a Saturday really.